As we all know I love a healthy, quick and easy recipe. 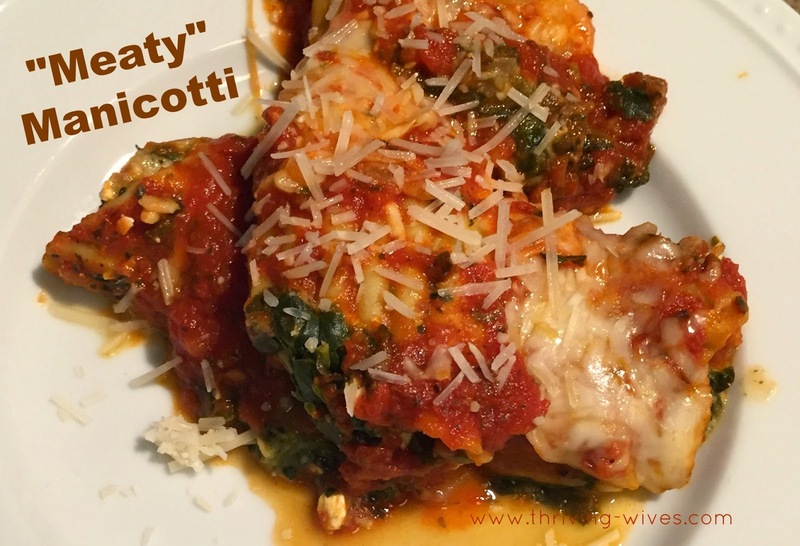 This cutie came across my weekly recipe perusing and I decided to give it a try... especially since I had Tuscany Tuesday to prepare for! 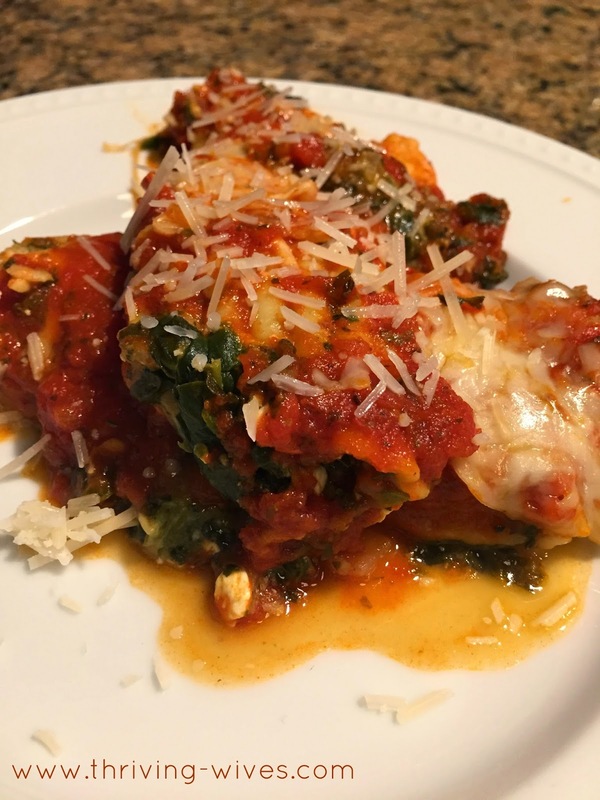 I pulled the Cooking Light "meatless" manicotti recipe out of my cookbook and decided to add a little "meat". And by "meat" I mean sausage-less Italian sausage, yum! First, heat up some olive oil and toss in your onion. Once the onion has softened and grilled up a bit, add the non-sausage and cook on medium heat for five minutes. With your non-meat ready to go, get moving on your cheese mixture. 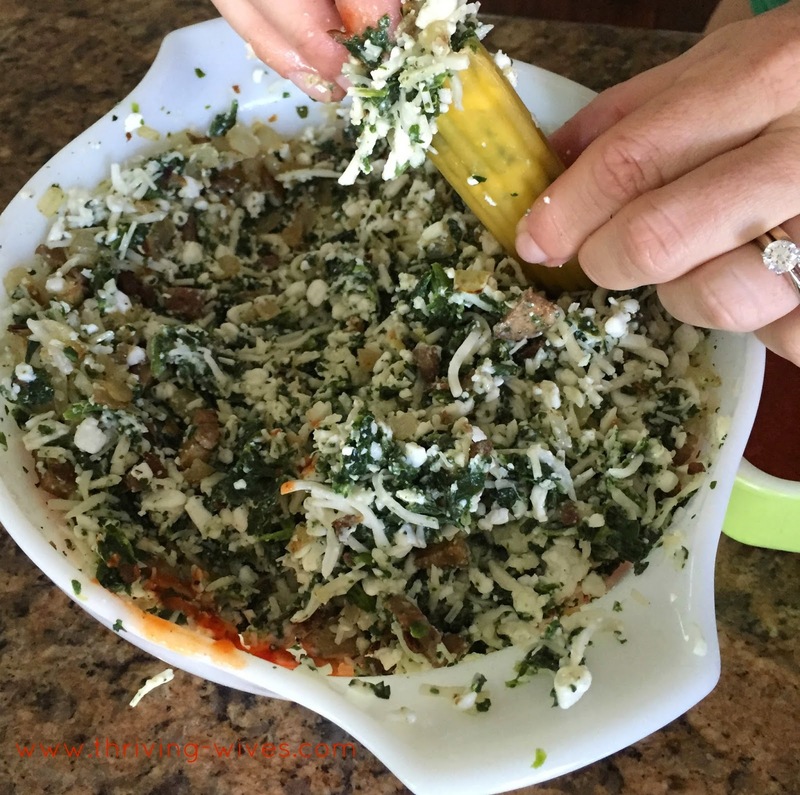 Take the 1 1/2 cups mozzarella, cottage cheese, spinach, Parmesan, oregano, salt and pepper and mix in a large bowl. 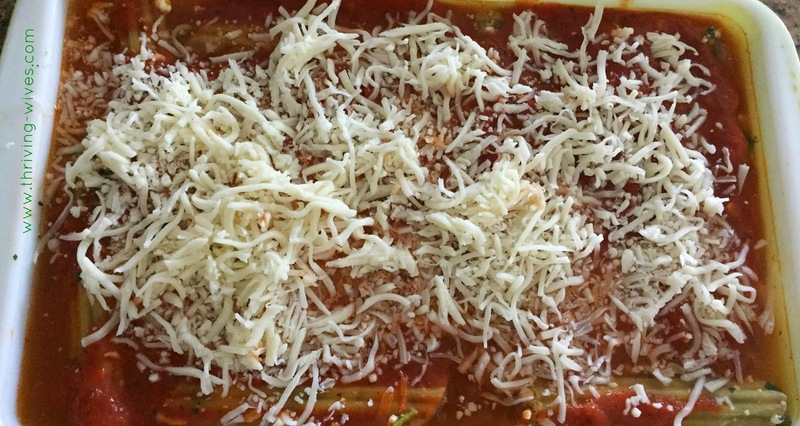 Take the mixture and spoon about 3 tablespoons (just stuff those things reallllly full...I let some ooze out the ends too) of the cheese mixture into each uncooked manicotti shell. Coat a 13 x 9-inch baking dish with cooking spray. Then, pour one half of the jar of sauce into the pan. 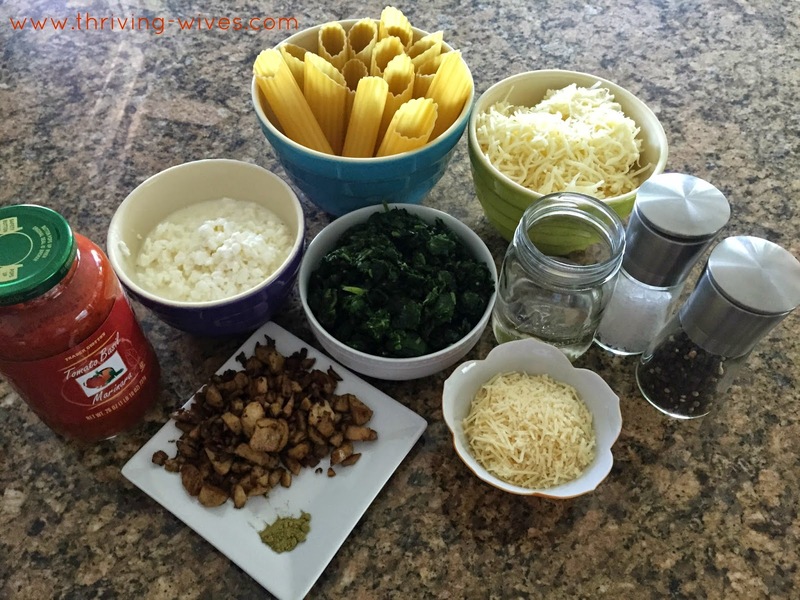 Arrange the stuffed shells in a single layer over the sauce and then top with the remaining sauce. Next, pour your cup of water into the dish (I went for the corners) so those shells steam to perfection. 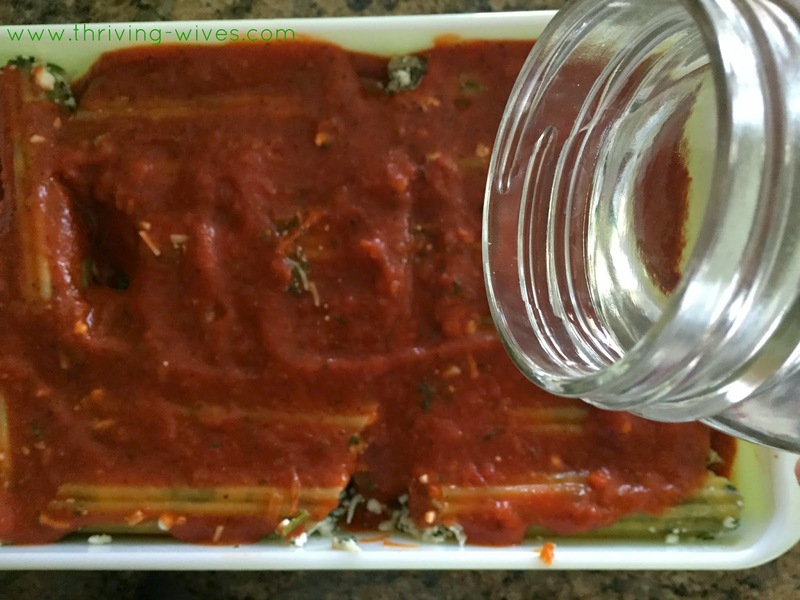 Sprinkle the remaining 1/2 cup mozzarella evenly over the sauce. 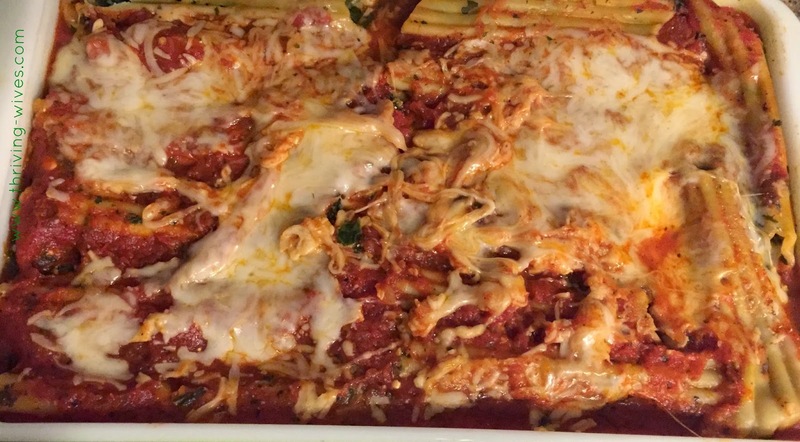 Cover the pan tightly with foil and throw in the oven for one hour (or until the shells are tender). Once cooked through, let it stand for 10 minutes...then (carefully) peel back your foil (G forbid you lose any cheese) and get ready to enjoy some serious goodness. I accidentally ate two plates!